If it seems like it's been a long time between games for the Buffalo Sabres, it has. 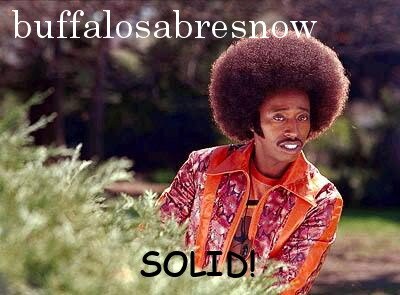 Buffalo has been on their bye week since a 3-1 win vs. Columbus and based upon what we've been seeing within the last few threads, hockey's return in Sabreland couldn't come soon enough. For as bad as the Sabres have been for most of the season, discussing players, systems and coaching ends up being much less personal than, say, things like politics. It's off the 'bye week' and into Madison Square Gardens tonight as Buffalo takes on the NY Rangers at 7:30 pm on NBCSN. In their only other meeting this season, the Rangers topped Buffalo 3-2 in overtime at CitiField in the 10th Winter Classic on January 1. The Sabres are 3-5-2 in their last 10 games vs. NY and 4-4-2 on the road. The Rangers are fourth in the Metropolitan Division, two points behind the Columbus Blue Jackets and are in the first wildcard slot, tied with the Pittsburgh Penguins (who have played two more games,) one point ahead of the NY Islanders. The Blueshirts, who went through a re-tool this past off season, have been riding the back of goaltender Henrik Lundqvist who's faced the second-most shots in the league (1115.) His .924 save percentage is tied for third amongst goaltenders who have played in 20 or more games and after his 5-1 win over the Philadelphia Flyers on Tuesday, Lundqvist became the first goalie in NHL history to win 20 games 13 consecutive seasons. Buffalo heads into the game tonight as the league's 30th place team with a league-low 2.41 goals/per game, a number of players who might be dealt at the trade deadline and d-corps that's been depleted by injury and/or illness. The big hit to the blueline came when Zach Bogosian went down during an intense practice just over a week ago. Bogosian, who started out the season injured, is expected to be out at least another four weeks with a lower body injury. It's been rough and rocky travelling for Bogosian, a former first round pick (2008, 3rd-overall) of the Atlanta Flames. His time in Buffalo has been marked by inconsistent play, with some of it being unwatchable, as the Sabres are saddled with a nearly immovable contract that carries a cap-hit of $5.14 million for the next two seasons. Since acquiring him in February, 2015 the NHL has relied less on his rugged style of play from the back end and more on speed and finesse leaving Bogosian searching for his game. The East is loaded with speed and his bruiser mentality seems to have gotten lost in the quick Lilliputians skating circles around him. Bogosian may be better suited to the Western Conference where there's still a lot of speed, but size and a heavy style of play can still be effective vs. much of the conference. 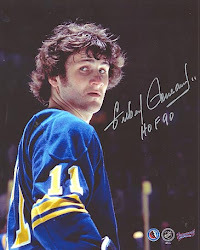 Word on the street (viaWGR550's Howard Simon) is that the Los Angeles Kings might be interested in Bogosian or fellow Sabres d-man Josh Gorges, among a few others, to help bolster their blueline. The Kings have about $3.8 million in cap-space this season so the Sabres would need to eat a good portion, probably half, for it to work out financially for Los Angeles. Methinks that if the Kings wanted to work a deal for Bogosian, Sabres GM Jason Botterill would jump at it. In addition to Bogosian, the Sabres also have had the flu bug hit two defensemen. Rookie Victor Antipin got it in December and that bout helped extend the number of games since he's played to 10 games. Antipin was a healthy scratch in the two games prior to the Christmas break and missed the last eight as a result of his bout with the flu. He said he lost 10 pounds during his illness and during the bye week he's been trying to add weight and strength for a return to the lineup. Defenseman Nathan Beaulieu missed practice yesterday and won't play tonight as he's listed as day-to-day with an illness. With Bogosian and Beaulieu out and Antipin a game-time decision, the Sabres were down to five healthy defensemen--Rasmus Ristolainen, Marco Scandella, Jake McCabe, Justin Falk and Gorges--so they called up Casey Nelson from the Rochester Americans. Nelson was a 2016 free agent signee who played in seven games for the Sabres registering four assists through a three-game point-streak to start his NHL career. Many thought he could jump right in but he had a terrible go of it in 11 appearances early in the 2016-17 season and was sent to Rochester for seasoning. It took a while for him to get acclimated, but finished his rookie season with 21 points (7+14) in 56 games but had a minus-10 plus/minus rating. This year he's been playing bigger minutes, has 11 points (2+9) in 37 games and leads the team with a plus-11 rating. The well-earned promotion has Nelson excited and somewhat nervous. After yesterday's practice he told the gathered media that he's "just going to go out there and try to stay loose and hopefully capitalize on this opportunity." This wouldn't be the first time that Nelson bounced back from a rough start. He had a rough go of it his first season at Minnesota State and spent plenty of time out of the lineup early in his freshman year. But according to his coach, Mike Hastings, instead of pooh, poohing, Nelson "immersed himself" in preparation and by the end of his junior year was one of the most sought after college free agents. Nelson came to the pros as an offensive, puck-moving defenseman but has spent the last season-and-a-half working on his defensive game. When asked if he felt the improvement in his game, he said, "absolutely, especially on defense. "I don't have a lot of chances on the powerplay this year, which is fine, because my game has totally changed on the backend," he continued. "I just feel more comfortable out there." Yesterday we brought up a potential trade destination for Buffalo goalie Robin Lehner--the NY Islanders--were the Sabres interested in trading him. However, with word out that Corey Crawford may be done for the season in Chicago, it would seem as if the Blackhawks may also be a possible landing spot. The Hawks are three points out of the second wild card spot in the Western Conference, but are also right up against the cap-ceiling. However, they could get some relief if they put Crawford on long-term injured reserve. It might be something to keep an eye on.